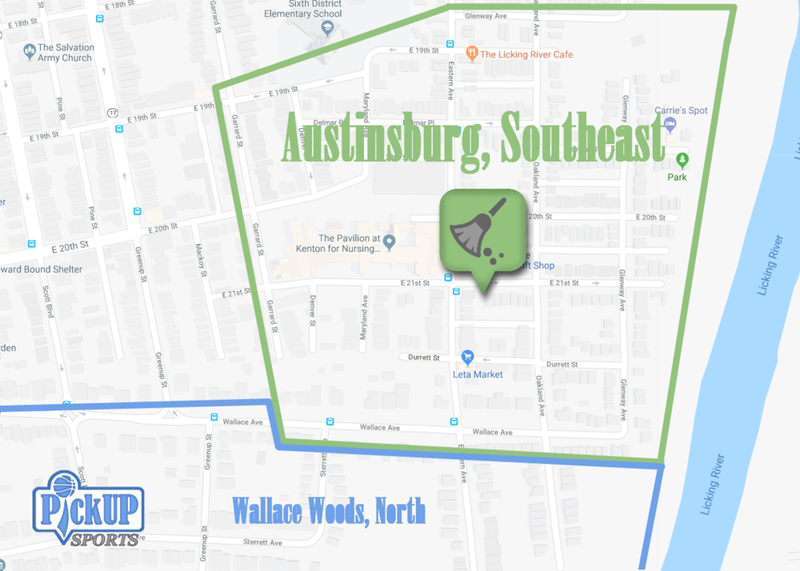 Austinburg is an oft-forgotten neighborhood of Covington. The southeast portion is nestled between the Licking River and Garrard Avenue and is almost entirely composed of houses and apartments. The few businesses in the neighborhood are small, family-owned shops that are leaned on by the residents of this small part of town. Easy access to Holmes High School and Sixth District Elementary School make this a very walkable neighborhood. Much like the southern half, the northern portion of Wallace Woods offers beautiful historic homes, access to local businesses, and proximity to Holmes High School. This part of town also includes the Licking River Greenway Trailhead, a beautiful walking path along the Licking River that gives residents a relaxing walk right inside the city. Primarily residential neighborhoods, this area of town will benefit from a community CleanUP as much as any. UPDATE: This quiet neighborhood was very well-kept and seems like a wonderful place to live. While the quiet, secluded streets were largely void of trash and litter, the main thoroughfares proved to be as prone to litter as any other. Just over 50 pounds of trash were collected, largely along Madison Avenue. What a great neighborhood to walk! Wallace Woods is one of Covington's nicest neighborhoods. This southern portion borders Covington's main thoroughfare, Madison Avenue, and the Licking River, placing it in an extremely convenient and heavily trafficked area. It is home to recently renovated Meinken Field, the city's only public high school, Holmes, and a number of local businesses and churches. UPDATE: We found many areas of this part of Covington to be well kept and beautiful, but were still able to collect over 100 pounds of trash, most of which came from Madison Avenue and along the river. This community looks better than ever thanks to the volunteerism of a few members of OUR community.